Do you have decay, cracks, or fractures in your teeth? Mercury-free tooth-colored fillings can be used to restore your damaged teeth, and are non-toxic and safe. Dental patients need to know the difference between a mercury free and mercury safe dentist. In 2008, for the first time over 50% of general dentists no longer use amalgam, primarily because it simply isn’t a good filling when compared to the newer composites. Because they no longer use mercury amalgam fillings, these dentists are now promoting their practices as being mercury free. However, that doesn’t mean that they believe mercury teeth fillings are a health hazard, or will use established and safe removal protocols to protect you from excessive exposure to mercury during amalgam filling removal. Bottom line – you can’t assume that a dentist who advertises his or her practice as being mercury free, is also mercury safe! You must take the responsibility to ask if they are also mercury safe. Bio-compatible tooth-colored fillings are usually placed in one appointment. 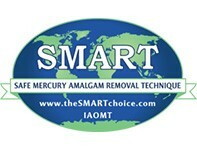 Our office is mercury free; we do not use any amalgam filling material. Instead, we offer safe tooth-colored composite fillings, which are as strong as amalgam (mercury/silver) fillings, and can be matched to the exact shade of your natural teeth. If you’re concerned by recent studies of amalgam safety, please talk to Dr. G about having those fillings removed. A bio-compatibility test may be run to determine the best material to use for your restorations.